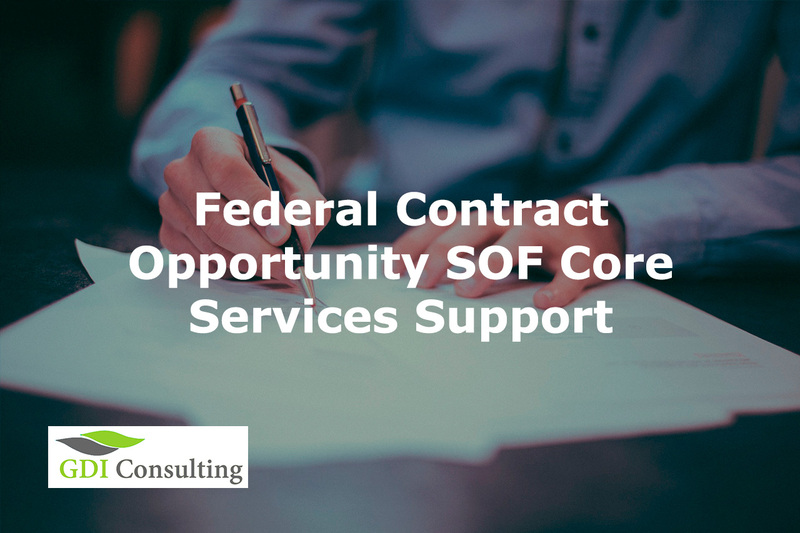 A Special Notice regarding the Draft RFP for SOF Core Services Support Contract Opportunity was released on the official website of Federal Business Opportunities, with the purpose of informing the industry with the most current data regarding the acquisition. On the other hand, the Government will be able to receive industry feedback on the draft RFP. Solicitation H9240019R0003 is released by the Other Defense Agencies, the office of U.S. Special Operations Command requiring subject matter expertise and knowledge-based services in support of USSOCOM’s enterprise requirements for U.S. based and globally assigned Special Operations Forces (SOF) missions. This is a competitive, best value, source selection using a tradeoff process that will be conducted in accordance with (IAW) Federal Acquisition Regulation (FAR) Part 15 and Defense FederalAcquisition Regulation Supplement (DFARS) Part 215. SWMS A: Services portfolio groups include Engineering & Technical, Program Management Services, and Professional Services. SWMS B: Services portfolio groups include Education & Training, Management Support Services, and Administrative & Other Services. SWMS C: Engineering & Technical, Program Management, Professional, Management Support and Administrative & Other Services. Moreover, these requirements must be met as defined by the Department of Defense’s taxonomy for the acquisition of services. Interested contractors must be able to meet all the requirements of the contract in order to support the USSOCOM with high-quality work performance as specified in the Scope of Work section. They will be responsible to provide all personnel, training, certifications, and supervision necessary to perform the services. The U.S. Government is very strict when it comes to its regulations and compliance requirements. All Offerors must be aware that proposals must be prepared according to all specifications mentioned in the Draft RFP, although some of them might be subject to change. Only the Final RFP is to be followed in detail. Nevertheless, final proposals must be compliant, concise, well-formatted, submitted in accordance with the given instructions. Failing to meet any of the requirements included in the solicitation will result in the exclusion of the candidate from the competition. Content must be complete, not a repetition of the scope of work. The Government will evaluate each Offeror’s capabilities and proposal elements against the evaluation criteria set forth below. The Government intends to make multiple prime contract awards under this solicitation. There will be evaluated each of the Offeror’s capabilities and proposal elements against the evaluation criteria set in the solicitation. Furthermore, multiple prime contract awards are foreseen to be distributed under this solicitation. Since the Draft RFP is already out, GDIC will hold a Webinar on SOF Core Services Support, Solicitation Number: H9240019R0003. The webinar will discuss how to prepare a winning proposal for the multiple award $950M SOF Core Services Support IDIQ, including requirements, pitfalls, the evaluation criteria, and how to maximize your win probability.